The humble egg. For such a small thing, it packs a mighty punch of nutrition. Eggs are rich in proteins, vitamins, minerals, and fatty acids. And, there’s no need to choose favorites, as both the egg yolk and the egg white bring their own benefits to the table. But eggs don’t just provide internal health benefits. Eggs can be a great asset in the beauty world. In fact, if you’ve never used an egg on your hair, you may want to consider it. Sounds strange? Well, here are a few reasons why an egg hair mask isn’t so crazy after all! Let’s start by breaking down the egg. What nutrients are found in the average egg? The Egg White is rich in protein. It contains traces of riboflavin, niacin, magnesium, sodium, and potassium. The Egg Yolk has less protein than the white but contains vitamins A, B, D and E, plus some iron and calcium. 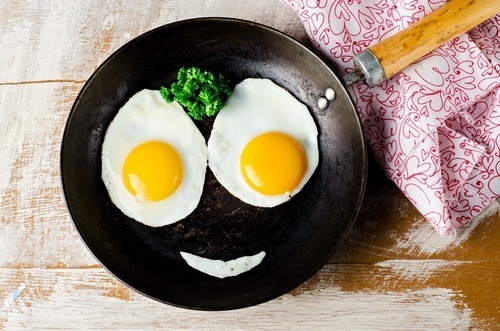 Egg yolk contains all the egg’s fat, including essential fatty acids. So, how do these nutrients help promote healthy hair from the outside in? Proteins are the most basic building blocks of nature and human life. They do most of the work in our cells, and they’re necessary for the body’s tissues and organs to function. They’re also essential for building strong hair and nails. Hair is predominantly made of keratin. This protein keeps it strong and healthy-looking. But, if our hair is lacking in protein, it can become brittle and break. Coating the hair in rich proteins can help to keep brittle hair at bay and bring back hair’s elasticity. This can help strengthen the hair shaft. 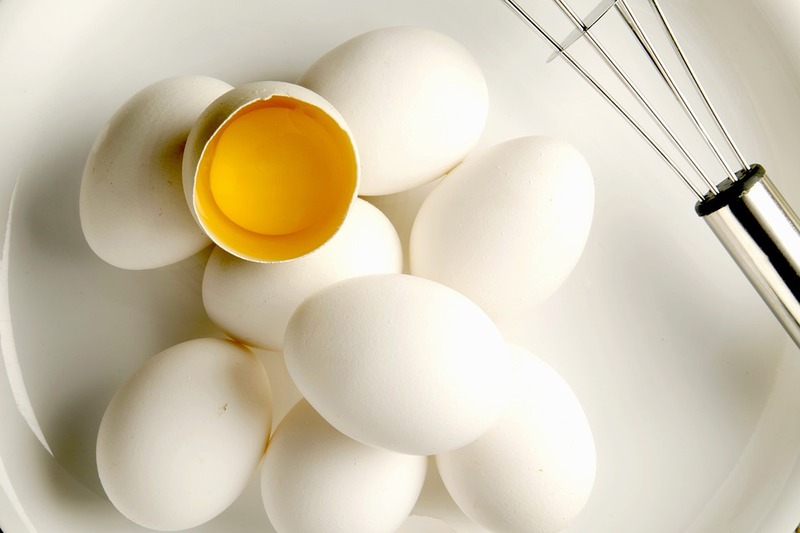 Sulfur in eggs can assist in both strengthening the hair follicles and cleansing the scalp. Sulfur aids the hair follicles in accessing more keratin which helps to maintain hair strength and elasticity, reducing hair breakage. More keratin ultimately means better hair volume and thickness. So, if your hair is dull and lifeless, sulfur may be helpful in boosting the appearance of your hair. 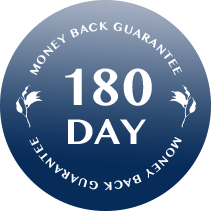 Biotin is a B-complex vitamin that’s essential to the health of the hair as a lack of this nutrient can cause hair loss.2 Many believe that biotin can stimulate hair and nail growth, though more research is still needed. But what biotin has shown is an ability to increase serum biotin levels through topical application.3 Which means that the biotin in your egg mask isn’t necessarily going to waste. Vitamin A is essential for healthy hair because it’s soluble in fats, which is great for moisturizing and protecting hair from becoming fragile and brittle.7 Vitamin A can help to control a dry scalp by keeping it moisturized. Mix 3 eggs with 3 tablespoons of olive oil. Massage into dry hair, and leave on for about an hour. Pop on a shower cap to avoid mess. Combine 1 teaspoon of avocado oil with 1 tablespoon of honey and 1 egg. You could also use ½ an avocado in place of the oil. Leave on the hair for 30 minutes to 1 hour, depending on the time you have. Combine 1 tablespoon each of olive oil, coconut oil, and honey with one egg. Make sure the mixture coats the ends of the hair as well. Leave on for at least an hour. Rinse and wash as normal. VERY IMPORTANT TIP: When using an egg hair mask, never rinse the mask with hot water. Why? Because you will cook the egg! And, picking fried egg from your scalp is never fun. 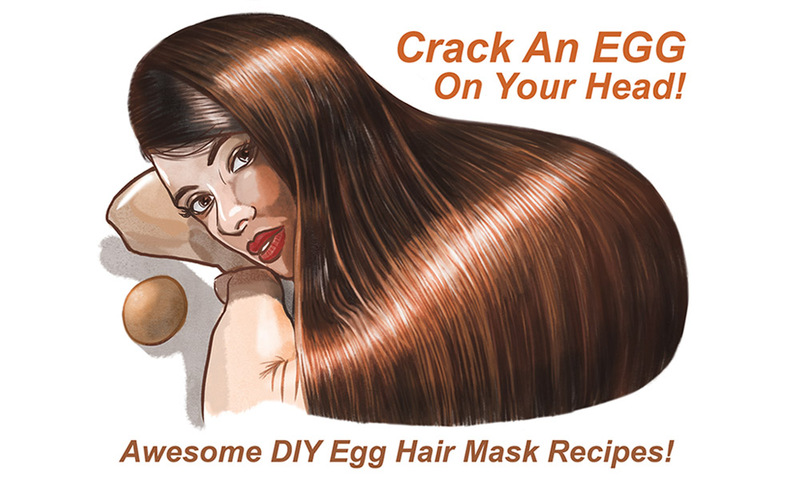 Egg hair masks can be a wonderful treatment to improve the strength, shine, and condition of your hair. Most of all, they’re an inexpensive, easily accessible alternative that you can mix up at home whenever you like! 4. Female Alopecia: Guide to Successful Management; Trüeb, Ralph M.
6. Female Alopecia: Guide to Successful Management; Trüeb, Ralph M.